BLING Insurance is romantic….you bet!!! 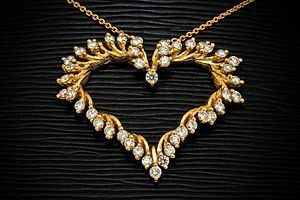 Jewelry is a popular gift for Valentine’s Day. Keep in mind that your standard home insurance policy includes a limitation on the amount of coverage for jewelry – as low as $1,500 to cover all of your jewelry. Scheduling jewelry on your home insurance policy can greatly increase your peace of mind and give you the full value, at a time of a loss. An appraisal on the jewelry is important to obtain, this will give you the precise amount of coverage. If you happen to experience a loss, the appraisal will provide the details of the type of metals and gems in your piece, such as the cut, color and clarity. To your advantage, the deductible can also be lowered or eliminated on scheduled jewelry. Putting coverage on your jewelry may sound unromantic, but nothing is sweeter than peace of mind.